Scottish climbing is notorious for being mostly done in the rain (most rumours about our weather are true). We don't climb in May or June when it is sunny. School pupils and students have exams, Lecturers and teachers have marking, and Glaswegians wait to have their holidays at the Glasgow fair. It always rains during the Glasgow fair. There are extensive guidebooks if you do feel the urge to go out and climb on real rocks however if you want to avoid that dangerous activity, there are a small number of climbing walls. When conditions permit, Ice climbing is done in the winter all over Scotland North of the Central lowlands. Particularly recommended:- Glencoe, Cairngorms, Torridon, Ben Nevis, and most of the rest of the country. Get some advice on where conditions are good from other climbers. Normal climbing is good in Glencoe, the Cairngorms, Skye, Arran and, again many other places. There are few areas for sport climbing in Scotland due to the strength of traditional ethics here. Dunkeld would be one good place. We have more information here on localplaces to climb, the restrictions on climbing at Arthur's seat in Edinburgh, and other climbing related matters. These will get added as they are written. Please submit any things you have time to write to us. 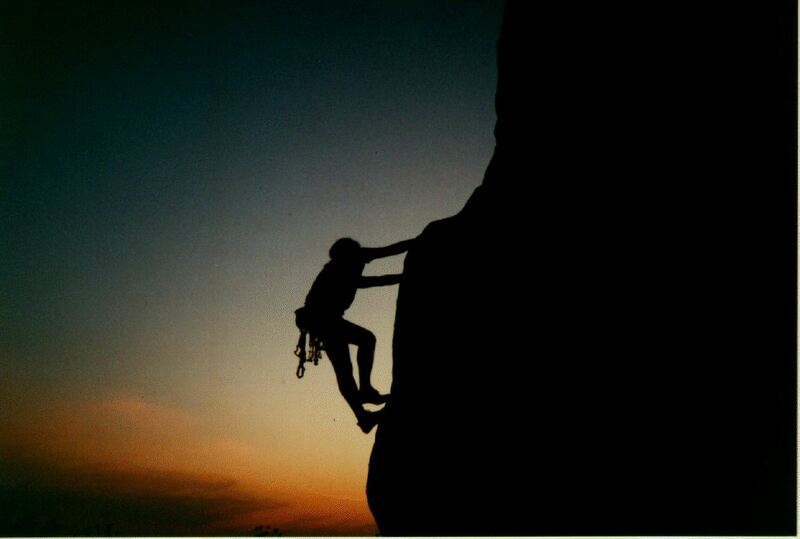 The Scottish Climbing Clubs Homepage is here. Places that reference this site is a very good place for related sites. Our organisations page has just begun.